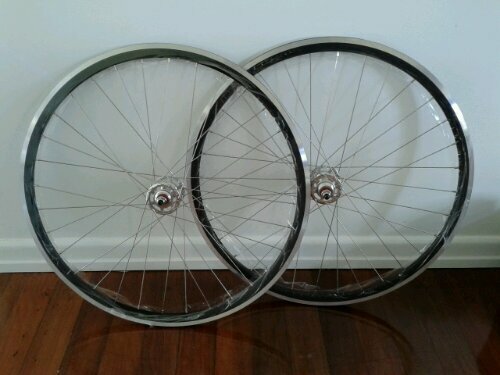 Last week I picked up a Marvinator wheelset from Gear Brisbane. The wheels are Gear Brisbane’s bottom-of-the-range wheels (and do not currently appear on their web site). The Marvinator rims from Colossi are built up with Quando hubs with sealed bearings. I am not sure what the spokes are. The Quando hub is a flip/flop hub. Apparently the wheels are handbuilt in Brisbane by their “master wheel builder”. Pretty good value wheels for $230. I weighed the Marvinator wheelset at 1048 grams for the front wheel and 1129 grams for the rear wheel, without rim tape or a sprocket/freewheel. 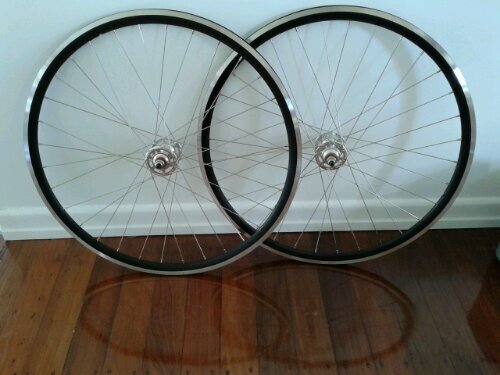 I am planning to put these wheels on my orange Cell Fixie frame, Wonder Woman, moving the wheelset from that bike to Project Beetlejuice. 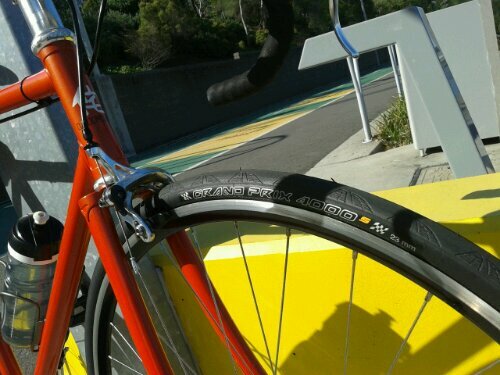 This entry was posted in Bicycles and tagged Colossi, Fixie, Gear Brisbane, Marvinator, Quando, Singlespeed, Weight Weenie, Wheels, Wheelset, Wonder Woman on 17 March 2014 by Rex. 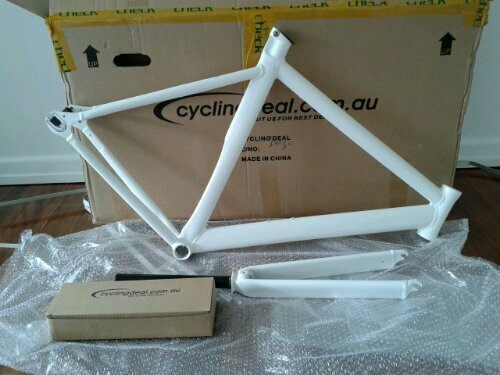 Project Beetlejuice now has a frame — a 56 cm track/fixie frame from Cycling Deal. Follow the build progress here. The challenge with this build is going to be to not overcapitalise the frame. While it is tempting to up-spec various parts, this is still going to be a budget build. I met up with four guys riding fixie bikes around the Brisbane River Loop on the weekend. Two of the fours guys were riding these track/fixie frames from Cycling Deal. They were very happy with the frames, although one guy had needed a shim to make the seat post fit. 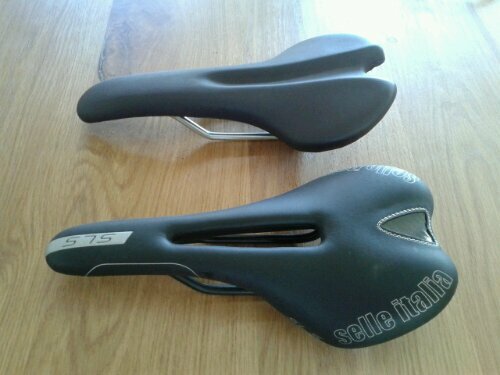 The 56 cm frame/fork/headset was advertised as being 2.4 kg; by my kitchen scales, the frame is 1752 grams and forks are 882 grams — a total of 2.634 kg. 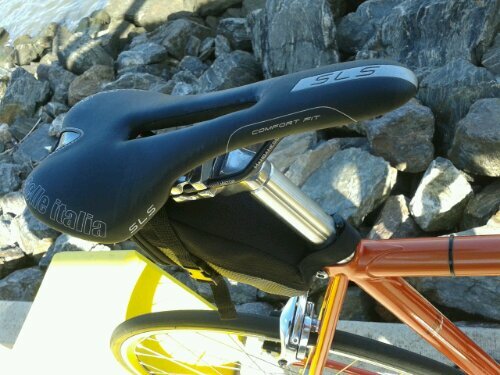 That is a bare weight without the seat post or headset supplied with the frame. I also have not cut the steerer tube yet. 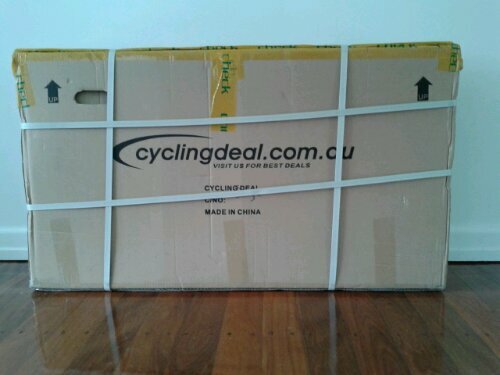 The frame and forks were well packaged in plastic bags and bubble wrap. The welding is ugly in places — this is a cheap frame and I guess that is the price you pay. 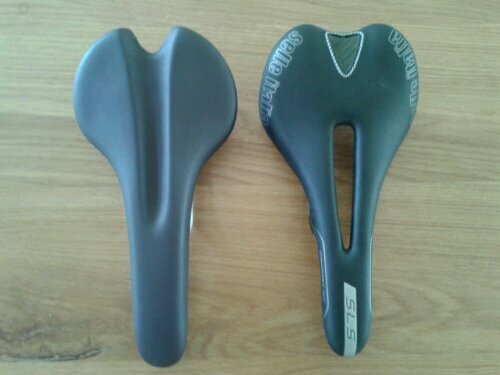 There are several old posts on the internet where people have had to use shims to get the seat post to fit correctly. I had hoped that this problem may have been fixed with later model frames, but on first inspection this does not appear to be the case. 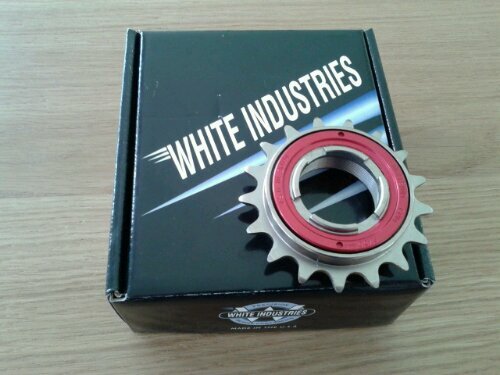 I will look at this more closely when I actually go to build the bike. Update: it looks like the seat post does fit correctly in my frame without needing a shim. This entry was posted in Bicycles and tagged Beetlejuice, Cycling Deal, cyclingdeal.com.au, Fixie, Frame, Project Beetlejuice, Singlespeed, Weight Weenie on 29 October 2013 by Rex. 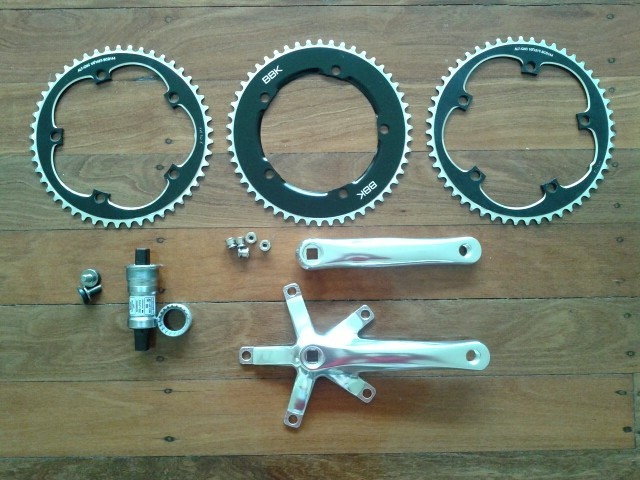 I am collecting parts for a new bike build, code named Project Beetlejuice. 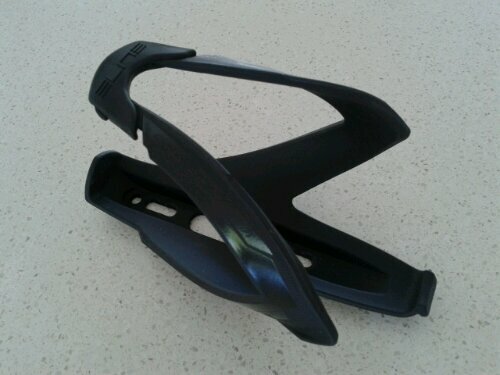 This is a Elite Custom Race Resin Cage in stealth black. On my scales, it weighed in at 42 grams. This entry was posted in Bicycles and tagged Elite, Fixie, Project Beetlejuice, Singlespeed, Weight Weenie on 21 October 2013 by Rex.